*I received the following product by Cult Nails in exchange for my honest review. I love a great pink polish, but sometimes I find pinks are hard for me to pull off. I think it's because I have a lot of pinky-red in my skin, when I wear pinks it can make my skin look ruddy. I say this especially with lighter pinks. I'm always on the hunt for a nice lighter pink, that doesn't clash with my skin tone. Cult Nails most recent addition seems to be a nice fit!  Falling Hard is a soft bubblegum pink creme. Color: I like pinks like this because they cover a neglected area of the pink spectrum in nail polish. I see lots of hot pinks, bright pinks, pale pinks, and sheer pinks, but in-between pinks seem to get left out. I love the saturation of this color, and based on photos I've seen from other bloggers it seems to play nicely with a variety of skin tones. Formula: Excellent easy to apply formula. I used 2 coats above. Price: This is $12.00 on the Cult Nails website. Overall: All around great pink. The color is nice and saturated. The formula is excellent. No complaints. *Note-Starting today I'll be adding to my labels my rating, this way you'll be able to search all of my swatches by the rating is received. This screams barbie pink to me! Its gorgeous. Dang Steph, this looks absolutely amazing on you!